​Five stunning safari game drives in four amazing National Parks will leave you lost for words. Experience wildlife at its finest before relaxing on the exotic island of Zanzibar. Flight from London to Kilimanjaro. Upon arrival we transfer to Arusha and our hotel. This morning we drive over to the magnificent Serengeti National Park. After lunch, we explore with an afternoon game drive. The name Serengeti comes from the Masaai name meaning ‘endless plains’. 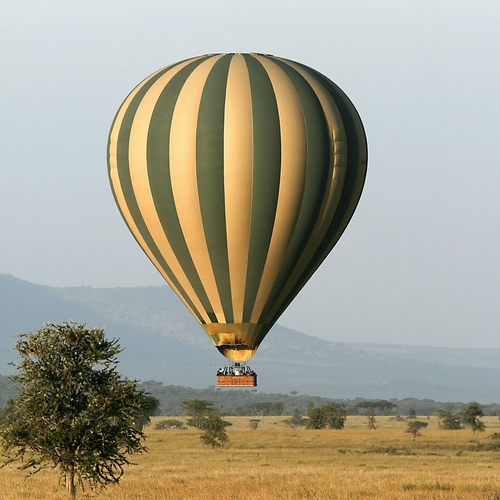 Two days in the park include the opportunity of an early morning optional balloon flight, gazing down over thousands of zebra, impala and other species casting long shadows over the plains (be sure to book your place before departure). Today, we’ll go in search of the ‘Big Five’ and hope to catch a glimpse of the elusive cheetah stalking in the long grass or lazy lions basking on Pride Rock. 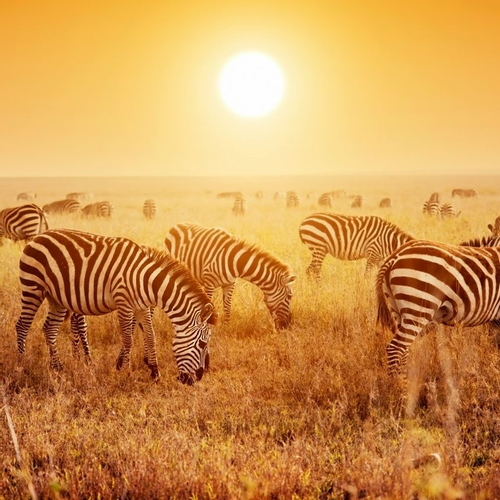 The Serengeti National Park is one of the most celebrated wildlife reserves in the world and was created to preserve the path of the world’s largest migration circuit covering nearly 15,000 square kilometres. We set off this morning for the Ngorongoro Conservation Area via the Olduvai Gorge museum. This afternoon is at leisure. 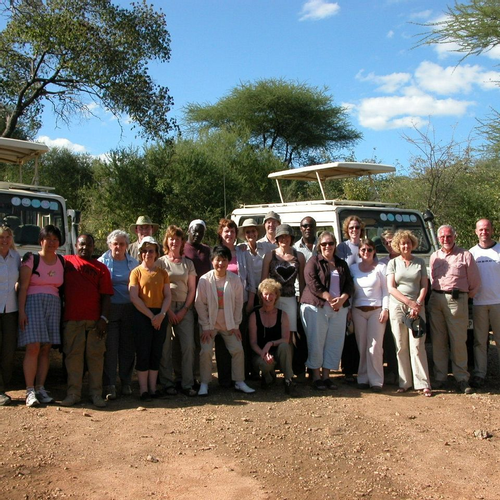 Travelling into the Ngorongoro Conservation Area we’ll discover Olduvai Gorge or the ‘cradle of life’. This steep sided long ravine, which forms part of the Great Rift Valley has revealed, courtesy of centuries of erosion, fossils and remnants of early humankind. Then, standing on the rim of a collapsed volcano, Ngorongoro Crater opens out below like an Aladdin’s cave. Our jeeps gently enter in search of wildebeest grazing and hippos wallowing. The crater is one of the few places where the endangered Black Rhino still thrives. With binoculars and cameras at the ready, our jeeps set off to the wilds of Tarangire National Park. This protected area is famous for the hundreds of elephants that march, eat and play here, watched by 550 species of birds - a beautiful and special location to begin our amazing safari adventure. Migratory wildebeest, zebra, buffalo, impala, gazelle, hartebeest and eland can sometimes be seen around watering holes - a smorgasbord for predators. Remember, the fruit of the sausage tree can often disguise the swish or twitch of a tail! 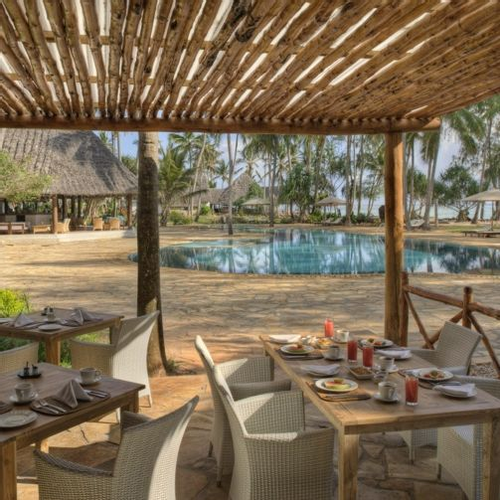 After lunch in Arusha and our flight to Zanzibar, we transfer to the Bluebay Beach Resort. More than just a beach resort, this fabled ‘spice island’ is a fascinating mix of Arab, African and other cultures. 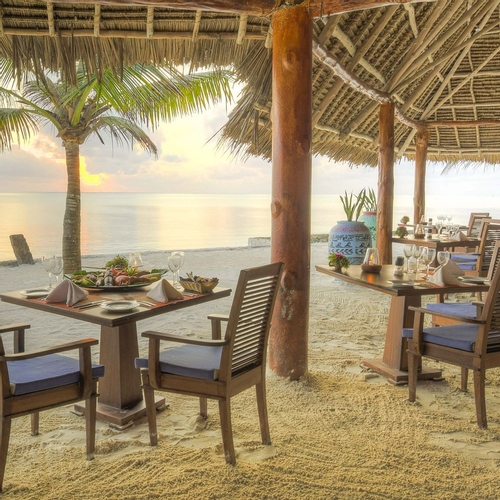 Unwind and enjoy the atmosphere, beautiful beaches and fragrant markets around Stone Town. Morning at leisure before we transfer to the airport and our flight home. Enquire Pioneers in creating holidays for the single traveller!